The first option involves controlling bedbugs through the use of MPC insecticides. This option consists of two services, conducted 21 to 30 days apart. The reason for two applications is due to the time it takes for the eggs to hatch. Most insecticides registered for use on bedbugs do not kill the eggs and have limited areas of use. Therefore, it is essential to kill the “second wave” after the eggs have hatched, typically occurring 21 to 30 days after the first treatment. Miller Pest Control’s service consists of two treatments, using a combination of dust insecticides which are considered the “silver bullet” as there is no risk of resistance buildup against these types of insecticides. Secondly, professional aerosols designed for use on bedbugs will kill exposed eggs and adult bedbugs inhabiting the mattress and box springs. 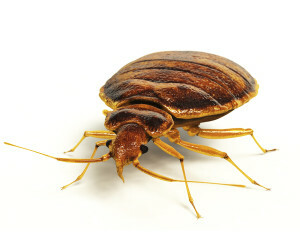 Lastly, the residual effects of these methods will help knock them down and get rapid control of live, feeding bedbugs. It is possible to see and have contact with bedbugs between the two services since insecticides are unavoidably slow-acting, yet very effective in the long run. For additional information and pricing details, please give us a call at 1-866-858-2152. We would be more than happy to send you a preparation sheet.